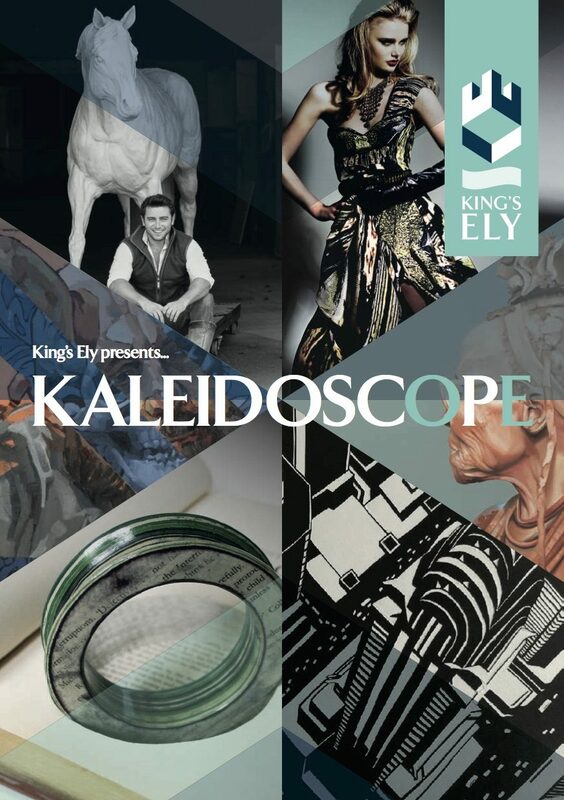 I am pleased to announce a special Exhibition at the Old Palace House, Kings School, Ely! A few were selected & invited back as former students of Kings School to exhibit work over the weekend of 22nd -23rd October. The grand space in the Old Palace House was filled with a vast range of talents including: paintings, sculptures, textiles, jewellery, film, and upholstery. 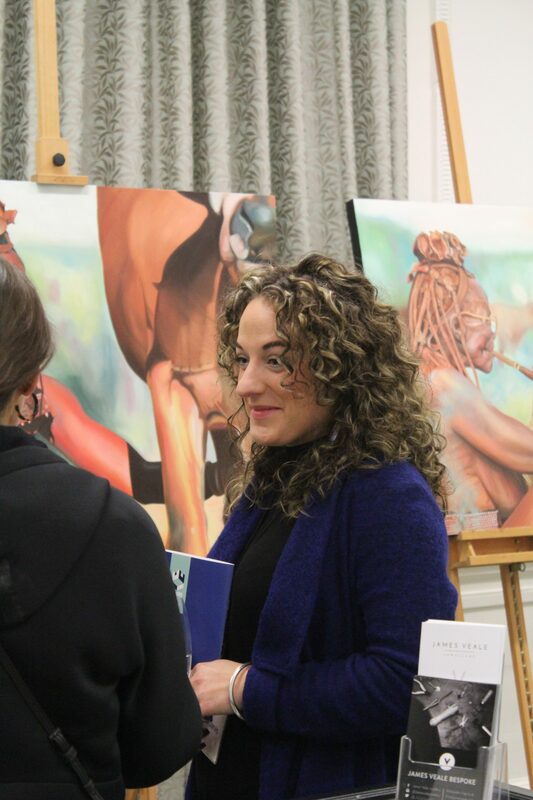 For me, the exhibition gave a lovely opportunity to return to the real roots of my painting and artistic challenges, the easels used to show my work were just the same as those I fondly remember from the art department some 15 years before! The hall itself filled on the private view evening with past students recalling their memories of the art department and explaining the journey’s they have taken before being invited back. 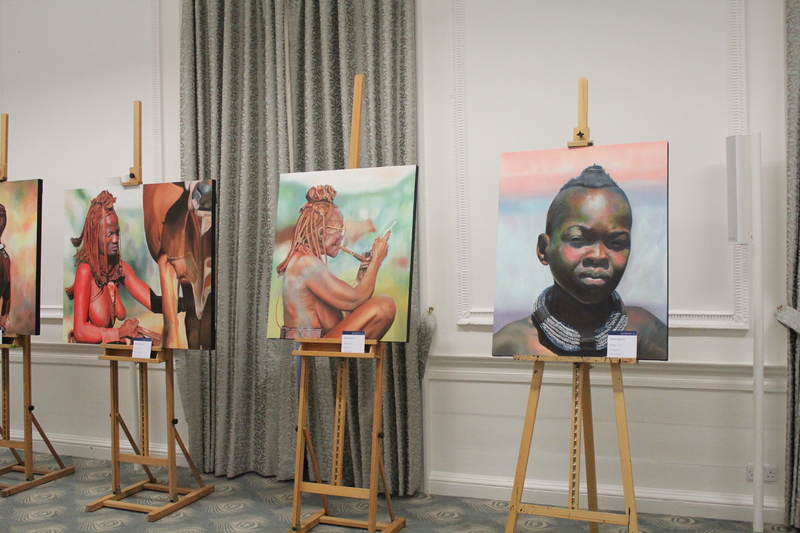 The work exhibited was the ‘Almost Done’ and ‘Himba’ series which were met with lovely compliments and critique from the current art department and my peers. 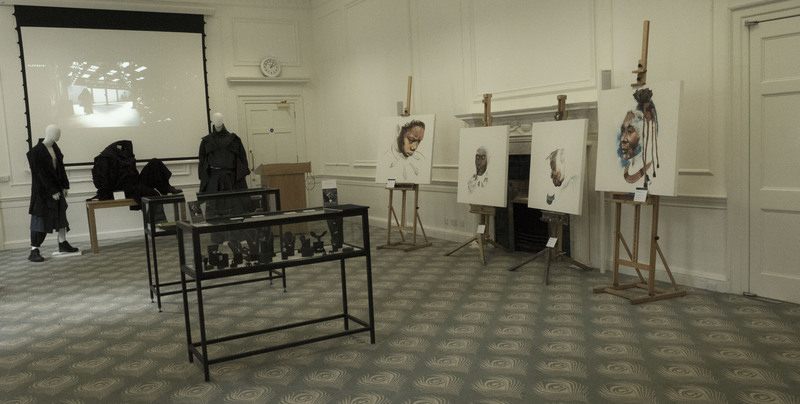 The full series of ‘Almost Done’ has now been sold, and only exhibited in Kings School and the Louvre in Paris! There are some exceptionally talented ‘Old Elians’ in many walks of life, but I was pleased to have the chance to showcase the artistic talents which became successful careers in art of some form or other.